Accoriding to writing experts at SolidEssay.com, to be a successful writer, it’s important to have a purpose for writing. Writing should not be an issue of taking up a pen and paper and starting to write without knowing why you are writing. Successful writers always have a reason to write and they always write to address a particular issue. Having a purpose to write gives writers a good flow of events and thoughts as they write. Dave is a content marketing expert at www.solidessay.com, a service aimed at helping students with their homework assignments. 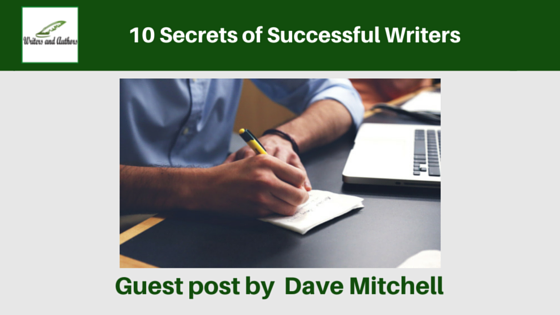 He is also an author of “how-to” essay writing tips popular among students. One of his publications on how to write an honors application essay is frequently shared by students who are applying for an honors program. I don't trust writing posts that have spelling errors in them. Also, the successful writer doesn’t make errors in his written works. Because as stated above, people won’t trust the posts that have spelling mistakes and won’t read them. So the writer should carefully watch what he writes.